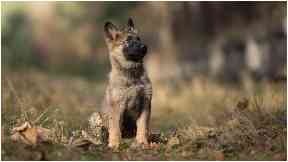 The puppy ran off after the smash on the A9 in Tayside at around 9pm on Wednesday. A German Shepherd puppy missing after its owner was involved in a car crash on a major Tayside road has been found. The puppy ran off after the accident on the A9 near Dalnaspidal Lodge, between Blair Atholl and Dalwhinnie at around 9pm on Wednesday night. Emergency services were called to the scene of the one-vehicle crash and one person was taken to Ninewells Hospital by ambulance. Their condition is not thought to be life-threatening. A spokesperson for Police Scotland thanked members of the public for their assistance.